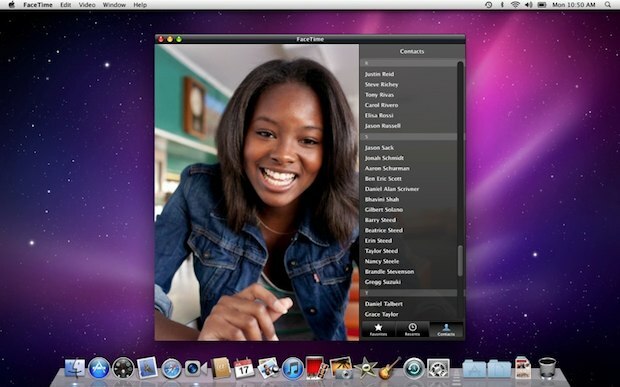 Somewhat lost in the hubbub of the MacBook Pro 2011 refresh and Mac OS X Lion 10.7 Developer Preview was the launch of FaceTime HD, which is now finalized and available for all Mac users to download from the Mac App Store. The new version supports 720p video calls, but in order to make 720p calls you’d need a Mac with an HD camera (like the new MacBook Pro’s), otherwise you’ll maintain the current VGA quality video. FaceTime costs $1 now? I thought it was free? What gives? While the beta release of FaceTime was free, the final release of FaceTime costs $0.99. Apparently charging for FaceTime is due to an accounting requirement (MacGasm explains this if you’re interested), but I think it also serves the purpose of getting Mac users familiar with downloading apps from the Mac App Store. I say this because I think the upgrade to Mac OS X 10.7 Lion will be available as a paid download through the Mac App Store, but this could just be wishful thinking on my part too. The beta still works. If you don’t have a “FaceTime HD” camera there isn’t much reason to update, I don’t see any major feature differences. Lion as a paid App Store-download? Could that even be possible? Unless it would create its own disk partition, copy the software to it, install from that and remove it again afterwards (which would all be very complicated, new and risky for the everyday user), I don’t see how they could do that. Error downloading FaceTime – after installing Lion. I get the following error message: FaceTime can’t be installed on “Mac” because the version of Mac OS X is too new.